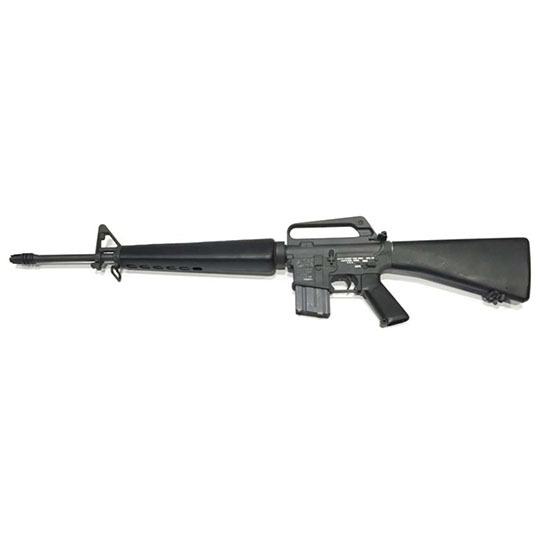 Colt Mfg CRM16A1 AR-15 Military Classic M16A1 Retro Reissue Semi-Automatic 5.56 NATO 20 20+1 A2 Black Stk Black in. Colts M16 Retro Reissue is a gasoperated semiautomatic M16A1 with a 20 barrel and is chambered in 5.56 NATO. It has classic A2styling with the fixed synthetic stock A2 carry handle receiver smooth riflelength handguard and A2 front sight. It includes sling swivels and a 20round magazine."